Production Services C Graphics Inc. If you are migrating from Word or PageMaker to InDesign or FrameMaker the best way to start is to have a solid template. It takes years to learn all the ins and outs of these two packages so leave the template design to us, train your staff on the software with a solid template they can use from day one. We have worked with many Fortune 500 companies helping them make this transition as easy as possible. C Graphics can provide innovative solutions for your specific e-learning courses. We can provide Captivate training modules to demonstrate your software or procedures. Would you like to create a CD or flash drive giveaway at your next convention with all the speakers notes? Are you getting ready for a trade show and want to give interested clients something to take with them with your product information. C Graphics has created interactive CDs for Unicef, Naval Surface Warfare, Project Management Institute of Colorado and many more. Call us for an estimate on your next project. Because we use Acrobat at the engine the cost is reasonable compared to older technologies that require a lot of programming. 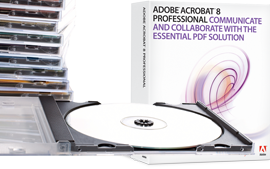 file specifications to the CD-ROM printing (inside and outside), your work deserves our highest recommendation. And since you completed this project over 2 months ahead of schedule, it gave me a real “marketing advantage” for 1999. I look forward to working with you in the future! We Use the Software We Teach! C Graphics specializes in FrameMaker and InDesign template creation, and e-learning training using Captivate FrameMaker and Connect. If you have a specific project in mind, give us a call and we can collaborate with you on ideas and provide an estimate. If we can not provide the services you need we can lead you in the right direction. I truly appreciate your attention to details, high-resolution scanning of graphics, and conscientious effort to meet my publishing deadlines. From the internal byte-by-byte file specifications to the CD-ROM printing (inside and outside), your work deserves our highest recommendation. And since you completed this project over 2 months ahead of schedule, it gave me a real “marketing advantage”. I look forward to working with you in the future!